Meegan Holland is vice president, communications and marketing. Her responsibilities include member engagement and oversight of the association’s branding and marketing efforts. 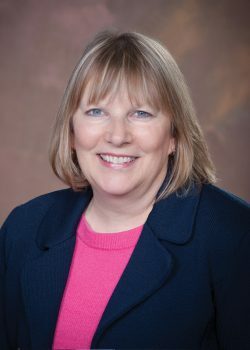 Holland came to the association in June 2017 from the State of Michigan, where she worked at the Secretary of State’s and Governor’s offices, and most recently the Michigan Veterans Affairs Agency as a senior policy advisor. Previously, she was a journalist for many years, most recently statewide/capital editor in Lansing for MLive Media Group. In the early 2000s, she co-managed a Lansing concert venue/art gallery for eight years, which ignited her passion for placemaking and other issues affecting small businesses. A graduate of Kalamazoo College, she serves on the East Lansing Arts Commission, the Capital Region Community Foundation board and the Lansing Area Economic Partnership placemaking committee.